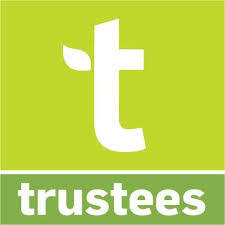 This article is by John Fiske, chairman of the Ipswich Historical Commission. Memorial Day, 2014: 76º, humid, hazy clouds, and the end of a long spell of unseasonably cool weather. Just the day for our first cruise of the season, puttering among the salt marshes in our little boat. 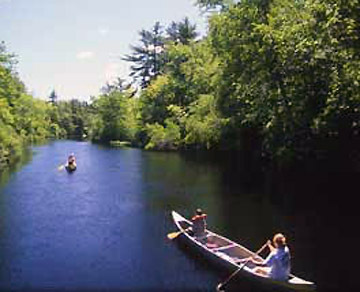 One of our favorite routes is go down the Ipswich River almost to the ocean and then turn right and head upstream, winding up Fox Creek. I particularly enjoy Fox Creek for the way it intertwines landscape and history — you can’t separate one from the other, not that I would ever want to. They both turn me on. On the second bend of the creek, we swing to port (that’s to the left, for you landlubbers) and there on our starboard (on the right, get it?) 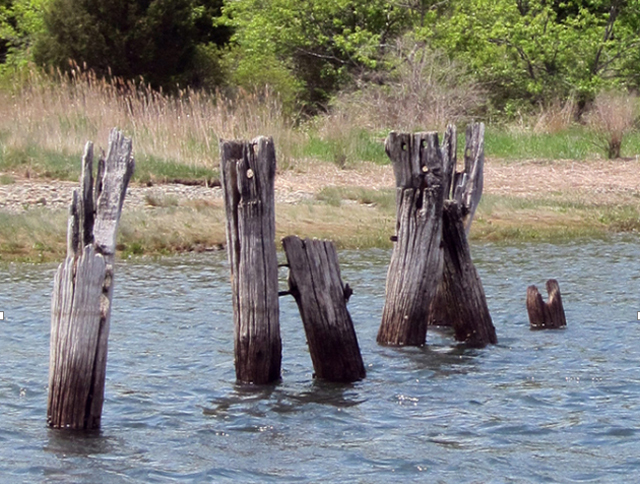 are rows of old, rotting wooden piles. They are all that remains of a surprising boat shop. Just before WWII, William Robinson began building replica sailing ships here, but the war changed his business. Wooden hulled boats made ideal mine sweepers – mines were magnetic and their hulls were not. Robinson’s boat yard produced up to 200 vessels for the US Navy, but all that remains now are slowly rotting piles – the channel that they had to dredge to accommodate the ships has filled back in, and Fox Creek is once again as it always was. We putter on past, steering round bends that are only just short of 360 º, till we see on our starboard a narrow waterway that is almost dead straight. Odd – well, not odd, just unnatural; man-made, for man likes straight lines, nature does not. 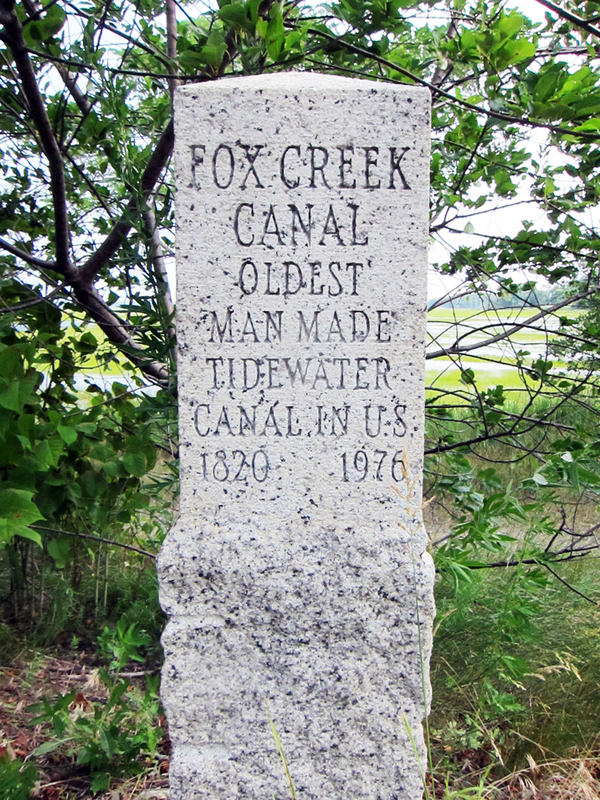 It’s the Fox Creek Canal, dug in 1820, making it the oldest tidewater canal in the country. Now, 1820 is pretty late for a town founded in 1634, but 1820 is the only the latest date in the history of the canal. For what seems the reasonable cost of $1,100, the canal provided the missing link between the forests of New Hampshire and the shipyards of Essex. Lumber boats would sail down the Merrimac to Newburyport, cruise south along the landward-side of Plum Island and reach the Ipswich River without ever having to go on the ocean. Then, if they were small enough, they would be poled through the canal: if they weren’t, they’d unload, and the logs would be floated on the tide along the canal and then up the Chebacco River to Essex. Our little boat is not built for the ocean either, so we’re real glad that the canal finally got dug: now we, like the logs, can get safely to Essex where, unlike the logs, we’ll eat some of the best fried clams on the planet. All this history took place in an unchanging landscape. 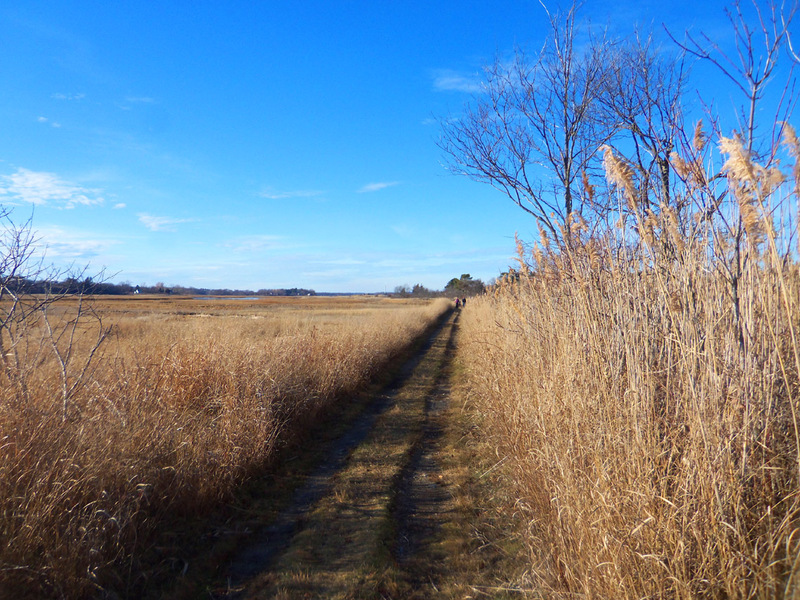 The salt marshes are still wide and horizontal, they grow the same reeds and grasses, and they still open our hearts and our vision. 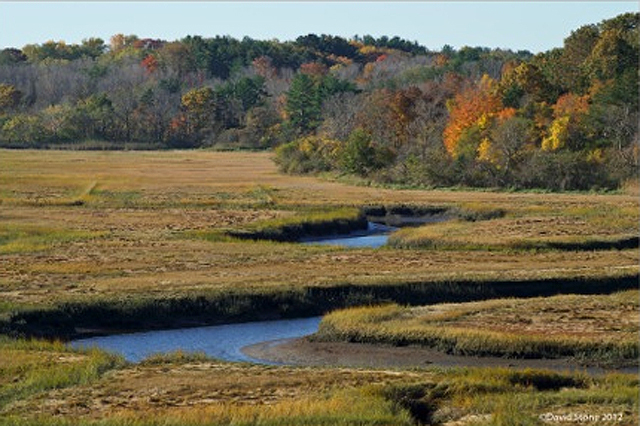 But that, come to think of it, is where there is a historical difference: I’m not aware of anyone living in pre-industrial Ipswich or Essex who enthused over the beauty of the salt marsh. Now, everyone does. Most Americans today are city folk, or they live in towns that we think of as small, but in the seventeenth century would have seemed enormous. And the streetscapes where we live today are essentially vertical with lots of right angles and short sight lines. We’re hemmed in by them, so a horizontal salt marsh with sight lines that reach to the bottom of the sky is truly a thing of beauty, of awe and of spiritual refreshment. But to our forefathers, it was bloody hard work, nothing more, nothing less. Ah yes, history and landscape – what a combo! The M in the bill of Laiden is nothing more than Minimum. I have 5 invoices for moving lumber and etc down the fox creel canal from1839 for my family the Haskell’s as they owned a large piece of marsh for hay and had 18 acres on hog and round island and kept a workers camp there. So beautiful! It’s such a magical place.